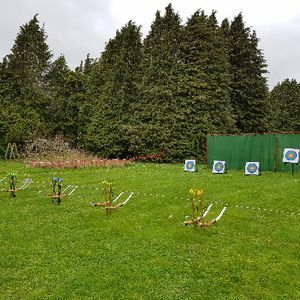 Are you looking for a Mobile Archery Supplier in St. Austell, Cornwall? Our catalogue includes 10 companies available in St. Austell for hire. Hello! My name is Linda. Our company celebrates its anniversary in June, and I was charge i organising the event. Is it possible to rent fun casino to the point? We have 20-25 guests. Thanks for your quick reply. Hello! 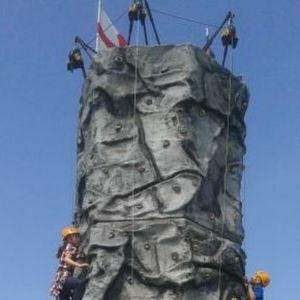 I will celebrate my son's birthday party, and I want to rent for him portable climbing rock. Is there an age restriction? Because, my son turns 7. What clothing / footwear must be worn to climb on the wall? What happens if the weather is bad? Email me, please, asap. June, 12 my wife celebrates her anniversary, she turns 30. We have already invited 20 guests, maybe 3 more will come. I want to rent mobile archery to our event. The budget is 300. My friend is trying to plan his stag do, but he's complicated with it. I want to help him, and I'm thinking about paitball hire. This will like everyone :) guys will stay active during all game period. We expect to start at 3 pm. Hello, my son turns 9 on June 13, so he has invited his friends to come to our home. As there will be a free time we want to occupy them for few hours. 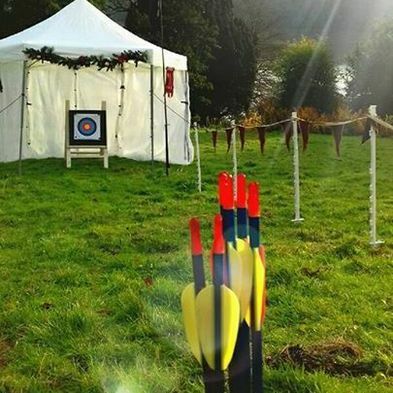 Is it possible to rent a mobile archery package? Are you available to attend our kid's archery party on August, 13? Is it possible to hire mobile archery equipment and tutors on this day? We would like to hire for few hours. Can you help me to hire Sumo wrestling suits? I am going to make very active and adventurous party for kids (up to 14 years). Party occurs in private backyard in June. I need a quote for Jumbo Sumo Suits. HELLO from Somerset! I’m organizing my sister's hen party. She asked me to create anamusing atmosphere there in different ways. I came up with fun casino and mobile archery (so no one can get hurt). I’d like to see the testimonials if you don’t mind. Kid's party dedicated to my younger brother will be held in the end of May. I decided to make it more interesting for kids by hiring a mobile archery wall. Theere will be 8 kids with 10 years on the avarage. The party is planned to start 2 pm. Hi there! I'm looking for 2 sumo wrestling suits on birthday party. What is the price for rental? Are you available on August 26? I’m organising a corporate party. Event will be held in our office in June, 12. There will come 20 people. I thought, it would be great to rent a table football and table tennis. I'd like you to describe more avaliable variants. And, please, send me the quotes. I’m organising a party for my parents anniversary. I suppose there will gather about 15 guests. I want to rent a fun casino for 90 mins on 8th of June. We will start at 3 pm, so the casino should be setup at 4:30 pm. Hi there! I'm just checking out what is the price to rent a mobile laser tag on wedding? It is arranged on June, 25 (Saturday). Hope, you are available for this day. I am looking for 2 sumo suits hire for corporate party! Is it available on May 28 (Saturday) since 4 pm till 5:30 pm? If there are any other kinds of entertaiment for guests, we will consider them all. Corporate event is dedicated for 20 people. It takes place at our office. We need catering, and! we want to rent a table football if it is possible. Party is planned on June, 14. Waiting for reply. Hi there. The corporate party occurs in the end of May at our office. The event is dedicated for 20 people (mostly youth). Required fun casino hire. Surely, we will consider all available options. I’m organising a birthday party for my daddy. I was thinking about hiring some funny sumo costumes to entertain our guests. We are having 15 guests - family members and close friends. I am responsible for entertainment on our community event which will be held in June, I suppose, in some private garden. We want to communicate and to have some crazy fun. There will be approx. 20 people. And it’s lack of entertaining stuff, is it possible to hire a table football? Please, provide us with quotes. 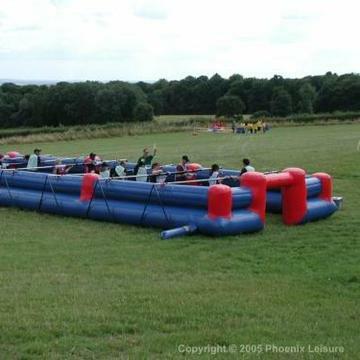 Do you know some great providers of Zorb Football in Bristol? 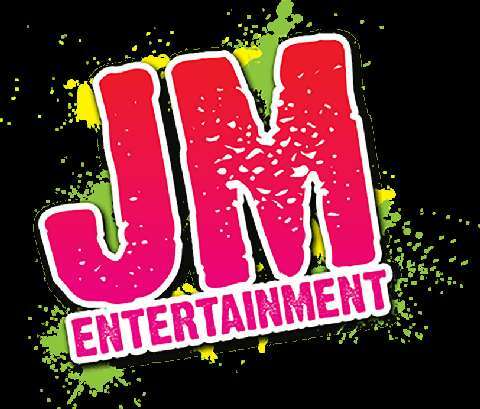 Can you create a bespoke package just for my themed party? What about the prices - per person / hour? ?